With New Moon coming out today (insert collective squeal here), the time has come for me to fess up to being a Twi-hard… yes, I admit to it. I have read all the books, watched the movie a few times, and have imagined myself as Bella more times than I would care to admit. Oh, and Team Edward all the way. 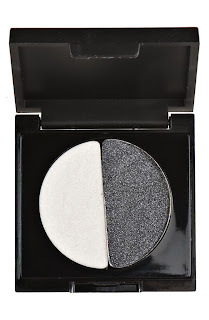 Anywho, I introduced all of you to the Twilight Volturi and Luna makeup collections not too long ago. Happily, the Twilight Luna line is now available at Nordstrom. Feast your eyes on some of these gorgeous pieces, perfect for indulging your inner teeny bopper, or for gifting the Twilight lover in your life. 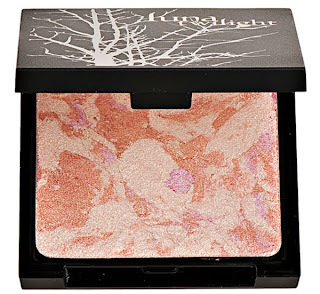 A hybrid cream/mousse blush that features three colors in one palette. Cream blushes are so perfect for winter, and I love the peachy tones featured in the Swoon palette above. Nothing screams just bitten like a rose colored, puffy pucker. 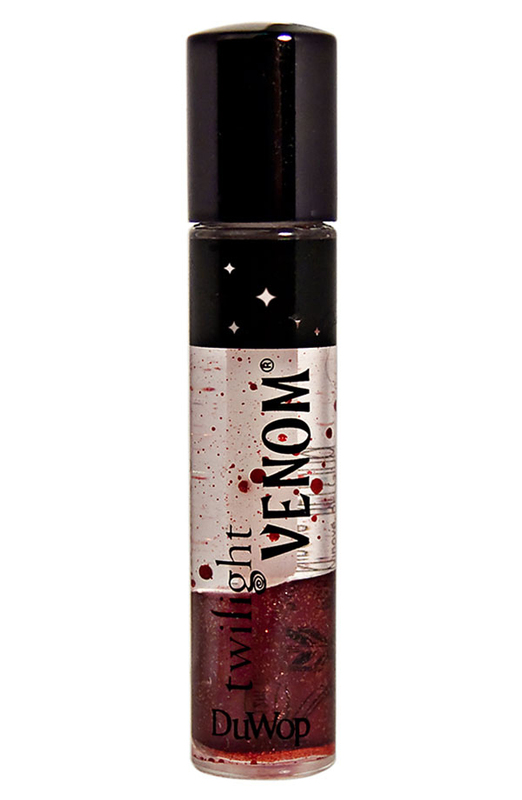 DuWop’s infamous lip venom now comes in a special edition Twilight inspired shade of deep rose red. Cream eyeshadow and glitter eyeshadow come together in this duo. I am loving the dichotomy of light and dark in the black/white combo above. You can never have enough subtle shimmer in the cold darkness of winter, and with that in mind, body glow adds a opalescent sheen wherever it is applied. You might not sparkle like Edward, but you will definitely shine like a pearl. The Twilight world of beauty doesn’t end with color cosmetics, and being a true twi-hard, I can’t imagine not wanting to immerse oneself in the scent of Twilight Woods by Bath and Body Works. A holiday special edition, the Twilight Woods scent smells all sweet, woodsy musk. It is a very warm scent, and perfect for the holiday season. You can find the Luna Twilight collection exclusively at Nordstrom, while Twilight Woods is available at Bath and Body Works. 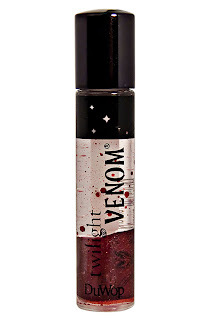 I am loving the Twilight-inspired beauty for the holiday season, how about you? Are you a Twi-hard too? 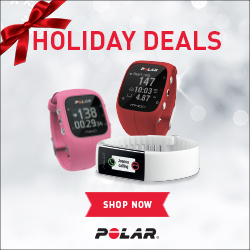 *The Bath and Body Works products mentioned in this post were provided by PR as samples for post consideration. Roll Out the Red Carpet with Lorac, & Meet Carol Shaw!